来自西班牙的Chillout音乐人。混音出的音乐美妙极致。以飘渺空灵的音效及主唱独特的假声而著名。 Born in 1978, Spain, hes now living in Balear islands. 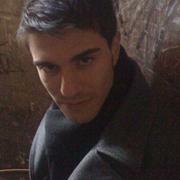 Spanish producer, composer and songwritter on the industry since 2001. more than 60 singles released, produced, remixed. Oscar Salguero is one of the most famous current names in the dance/pop european market. Responsible for the European hit KARAJA "SHE MOVES" and their follow ups, Oscar also has Produced/Remixed: Rikah Audrey Erasure Victor Ark Ramy PopLife Jordi Carreras Millennium Chocolate Monday Lemonescent Azur Terry Williams J.Lee Patrizia Faysal Timba Funk Rikah Cary August ...and so many others.. Now hes working on various Chillout and Instrumental Albums as "BARCELONA CHILL OUT" and "ORIGINAL SOUNDTRACK (Wellness And Relaxation Edition)". Oscar also has remixed "WHEN A LOVER LEAVES YOU" from ERASURE, included in the official "STORM CHASER" EP on Mute Records Ltd.